The Greater Twin Cities Blues Music Society is putting on the 2011 Road to Memphis Challenge today, 05-01-11, at Wilebski's Blues Saloon at 1 pm. If you get a chance head on down to see some great music. Members will be voting. 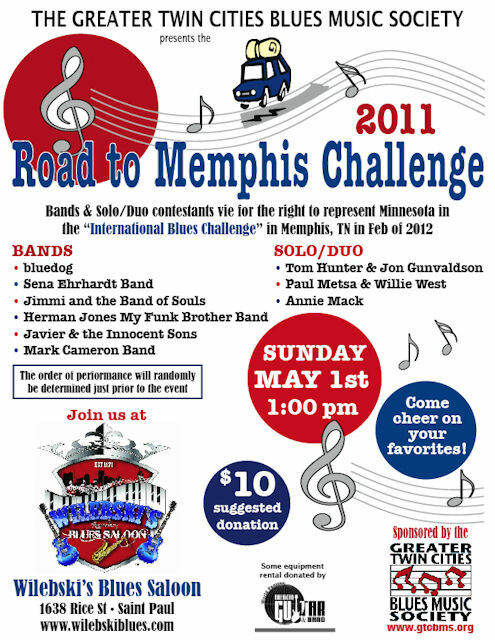 The bands are playing in hopes of winning so they can go to the International Blues Challenge (IBC) in Memphis.